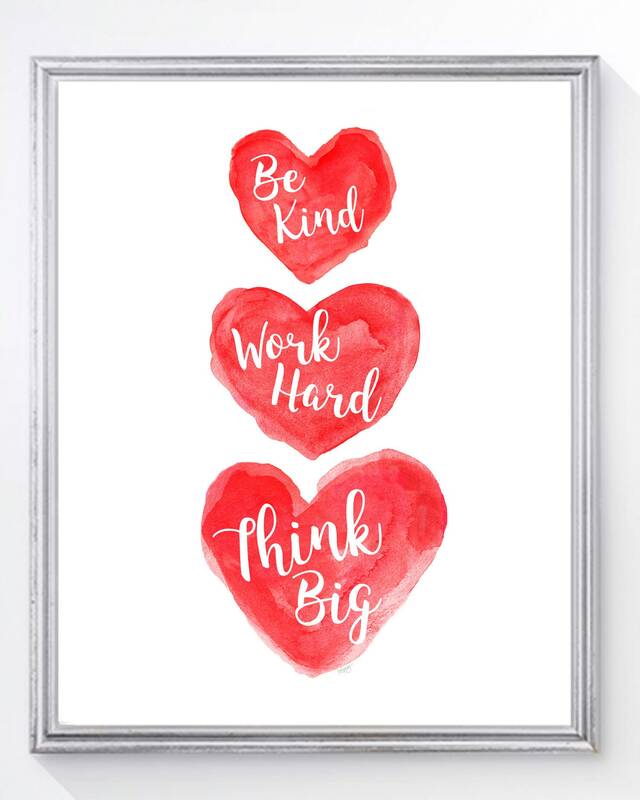 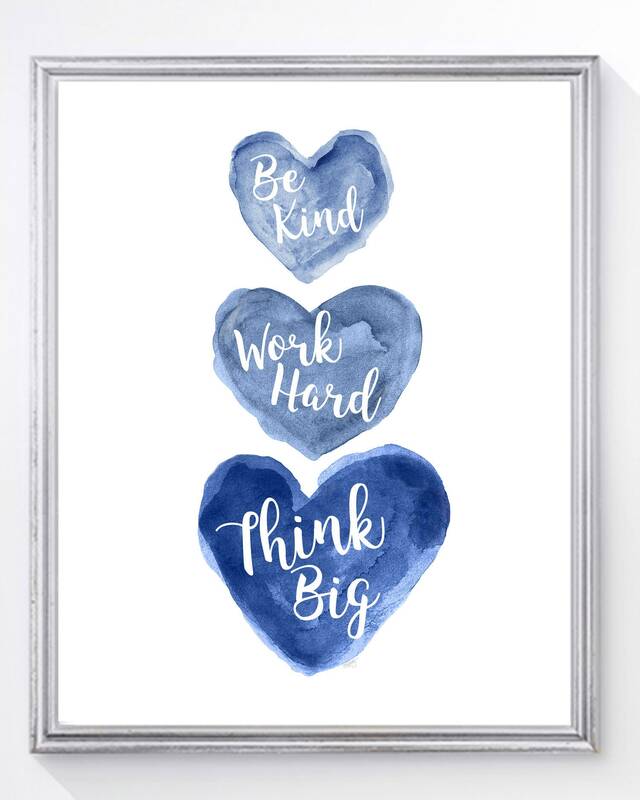 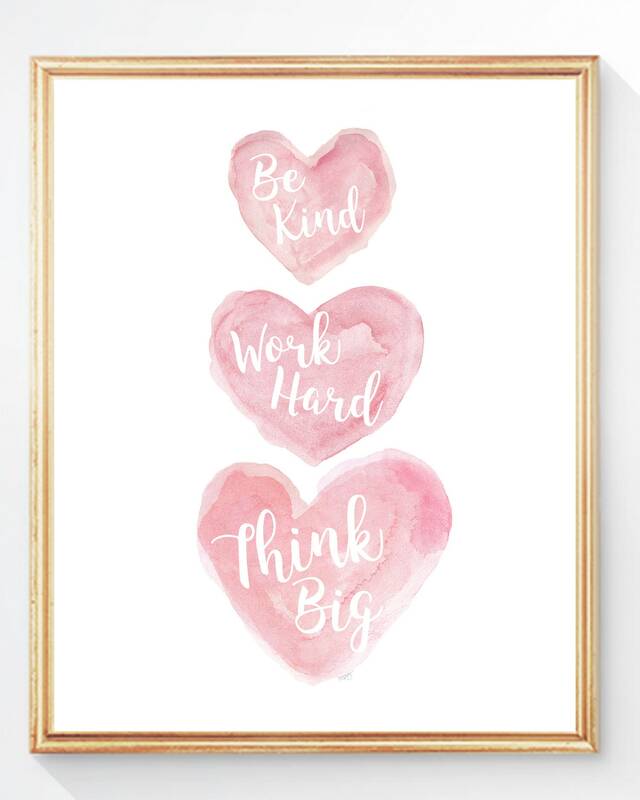 Think Big, Work Hard, and Be Kind. 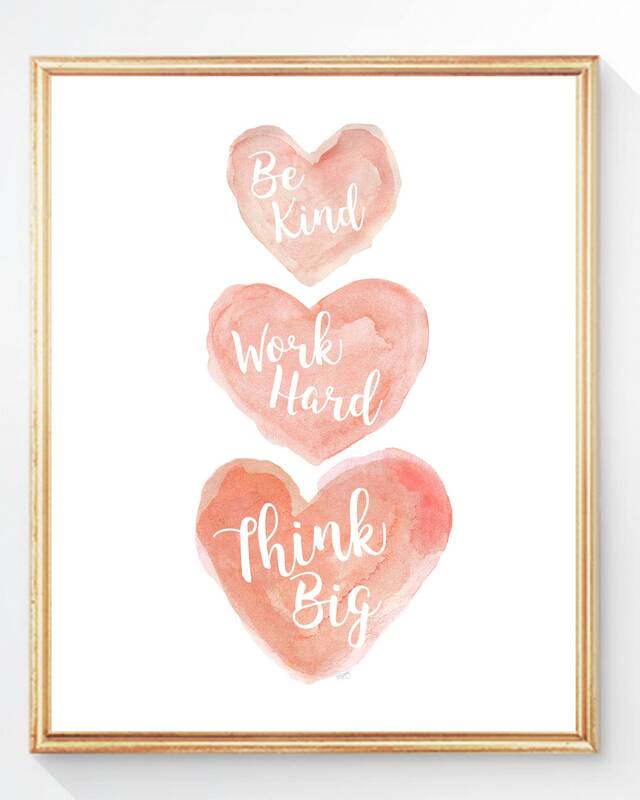 A pretty reminder of the big picture. 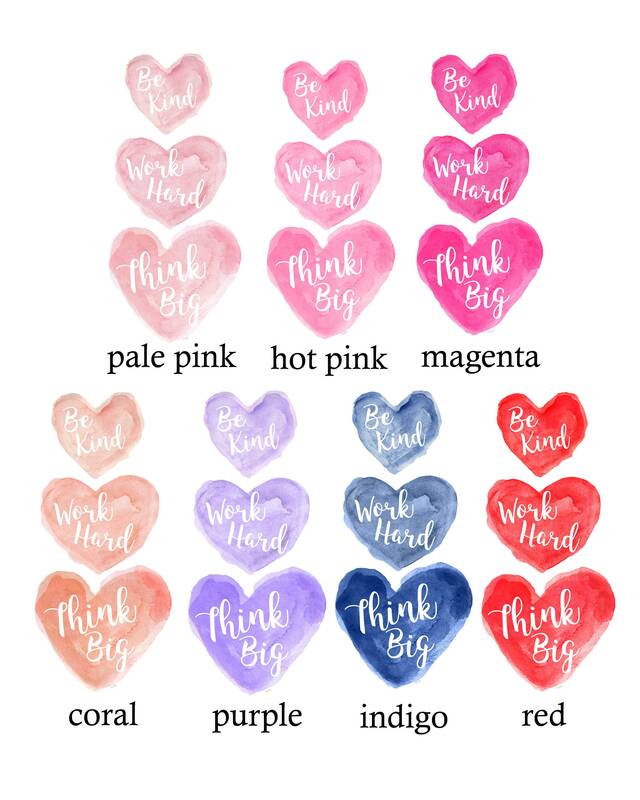 An inspirational art prints recreated from my original watercolor paintings.